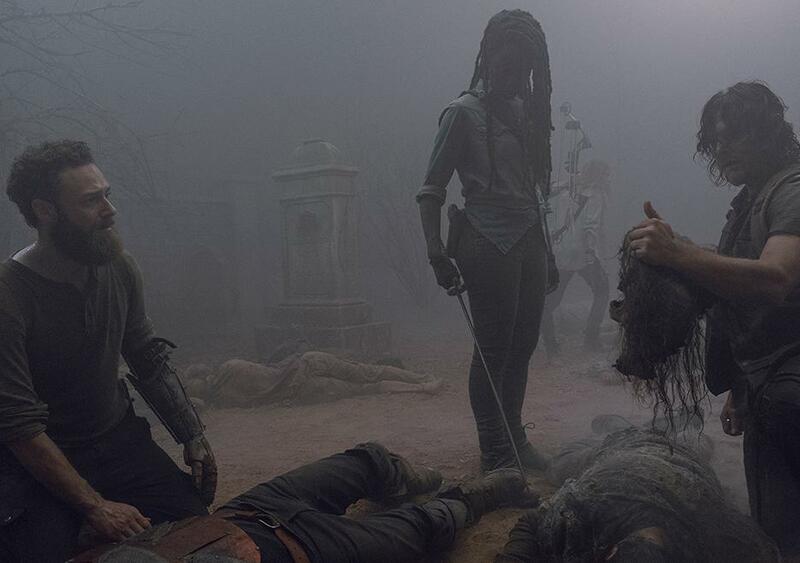 The Walking Dead is now in a strange new Rick Grimes-less era, even if he is going to stay in the universe with a series of somewhat baffling films. But if there’s one thing the show tends to do, it’s fill in gaps in the source material using the characters it has as its disposal. Enid essentially took on the role of comic Sophia, who was never killed off originally. Michonne assumed the role of comic Andrea as Rick’s romantic partner. Daryl has been everyone from comic Tyreese to comic Abraham as Rick’s eternal second in command, but these days he feels more like he’s taking on the role of comic Dwight, who isn’t dead on the show, but has jetted off to Fear the Walking Dead. In perhaps the most unfortunate example of this, a grown-up Henry has taken on Carl’s role for the upcoming Whispers story, after show Carl was killed in TWD’s worst decision to date. So, who can replace Rick? A common refrain is that no one will replace Rick, as you simply can’t. And yet I do feel like the show is attempting to do so in at least a minor capacity. 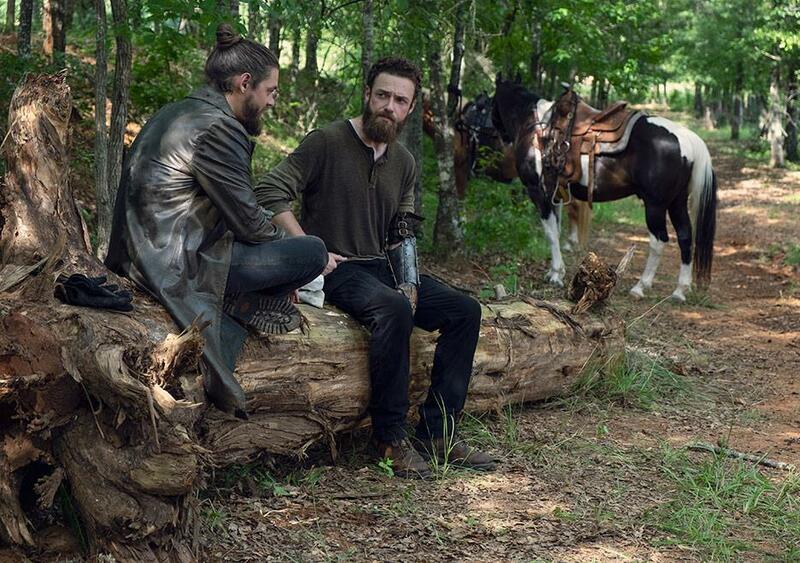 To me, it feels like none other than Aaron is being groomed to be a stand-in for Rick. Not to lead the show necessarily, but I would not be surprised to see a few big “Rick” moments being thrown his way. Why Aaron? Physically, Aaron looks more like comic Rick than Andrew Lincoln did when he left. He’s got the short hair and big beard now, yes, but a big season 9 development was that he lost his arm in a walker attack. This is an iconic comic Rick injury (suffered at the hands of the Governor) that they never pulled the trigger on with Andrew Lincoln, but now Aaron has the missing arm that Rick was always supposed to have. Aaron’s “family dynamic” has changed, shall we say. A big comic storyline was the budding relationship between Jesus and Aaron, but the show has killed off Jesus and it seems unlikely Aaron is about to find love anywhere else, similar to how Rick was alone with Carl after losing comic Andrea. The show has also given Aaron a child, Gracie, who isn’t a Carl stand-in obviously, but they’ve turned him into a family man with something to protect. The actor who players Aaron, Ross Marquand, is a hidden talent, and I feel like the show may be starting to discover and develop that. Marquand had a secret role in Infinity War as (spoilers) Red Skull, doing his best Hugo Weaving impression, and it turns out he’s…rather good at a ton of impressions. But acting is more than just imitation, and I do think Marquand has had a number of powerful scenes over the years.